The Task Pro 20 gallon wet/dry vacuum has a powerful 2-stage, 1.3 HP single vacuum motor. This model comes standard with a 24 inch front mount squeegee assembly for recovering stripper and other liquids. 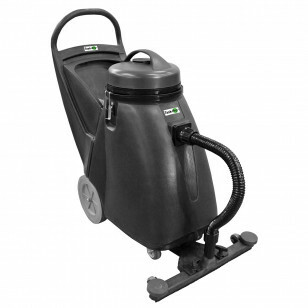 Maneuvering the vacuum around with the squeegee lets you recover everything in it's path. 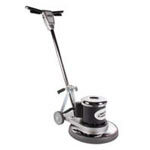 Comes with a 9 foot recovery hose, plus a full compliment of tools, including tools for carpet and hard floors.